Vietnam News Agency (VNA) Vu Viet Trang. She made the statement during an interview ahead of the 44th Executive Board Meeting of OANA, to be held in Hanoi from April 18-20. Trang, who is also standing deputy head of the meeting’s organising board, said that during the 43rd meeting in Tehran in September 2018, VNA General Director Nguyen Duc Loi proposed holding the 44th meeting in Vietnam. The proposal was supported by the OANA Executive Board. Upon returning home, the VNA general director instructed the establishment of the meeting’s organising board with four sub-committees led by VNA deputy general directors in mid-December 2018. Over the past four months, the VNA has made active preparations in terms of logistics, agenda, communications, and technology with a view to making the event a success. Thanks to the effective support of Azerbaijan State News Agency in its capacity as OANA Chair, members of the OANA executive board, the Foreign Ministry, Hanoi city, the northern province of Quang Ninh, and FLC group, preparations for the meeting have mostly been completed. According to the deputy general director, OANA has launched joint work across information exchange, training, experience sharing, editing standards, and ethics of journalists. In line with its regulations, OANA holds annual executive board meetings and triennial General Assembly meetings. During the executive board meetings, delegates will discuss experience in dealing with issues faced by contemporary press, the possibility of cooperation with press organisations in other regions, and the establishment of new cooperation mechanisms. Therefore, the agenda of those meetings should both follow the previous one and introduce new things. For example, the issue of artificial intelligence (AI) has been tabled for discussion since the 40th executive board’s meeting and will be looked into during the 44th meeting. Another item on the upcoming meeting is fake news, which has been mentioned for several recent meetings. 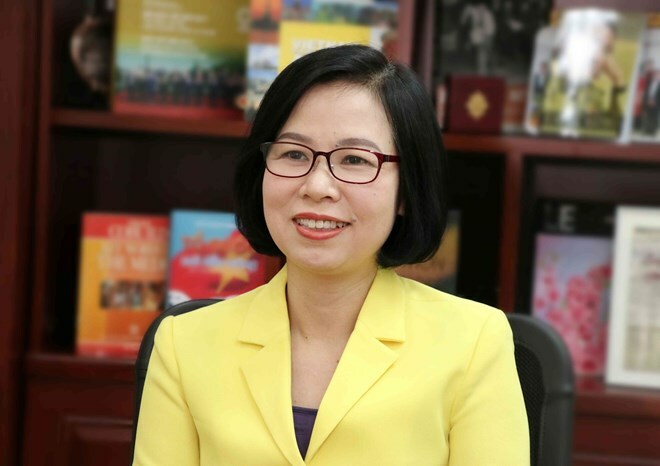 At the 44th meeting, leaders of news agencies will look into measures and tools to verify information amid the prevalence of fake news at present, she said, adding that it was proposed by VNA and VNA Deputy General Director Le Quoc Minh will chair a session on the issue. Another session on strategies to adapt to the switch amongst media consumers to videos and YouTube clips will be also held. Asked about the umbrella theme “For a professional and innovative journalism” for the 44th meeting, Trang said with over 4 billion Internet users out of a 7.7 billion world population, the majority of the public now access information through the internet, and at the same time, they are also suppliers of news online so there will be a competition between news agencies and their traditional clients. In order to win the race, news agencies need to maintain professionalism with timely coverage of correct and objective news verified by competent authorities, which is a difference between genuine press products and unverified information and personal opinions online. Meanwhile, an innovative journalism will attract the public. News agencies, including VNA recently adopted technology to produce new media products such as long-form articles that combine text, photos, audio and video clips.